LEWISBURG — The Class of 1975 payed for a new Bison bronze statue to be placed near Sojka Pavilion at Bucknell University. The statue was made by an artist in Kansas and transported to campus on Thursday. T-Ross Brothers Construction Inc. used a crane to move the Bison statue to a concrete mount. The process took over an hour, but the statue is now in place for all to enjoy. 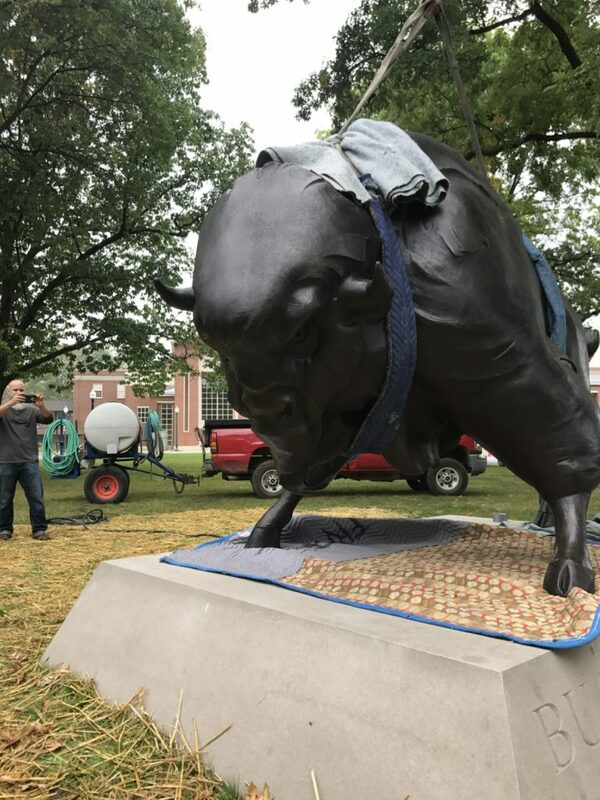 The post T-Ross Brothers Construction crane moves Bison statue at Bucknell appeared first on T-Ross Brothers Construction, Inc..